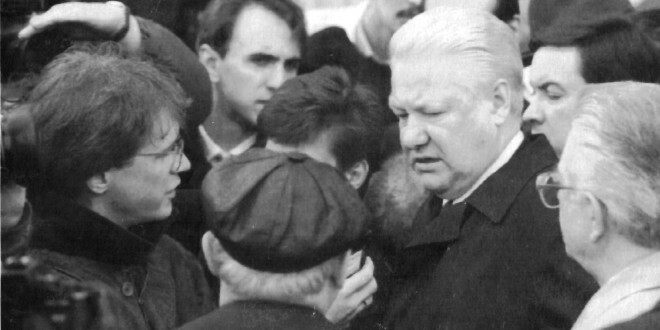 Reporter Thomas Ginsberg questions Boris Yeltsin in spring 1993 during his election campaign. 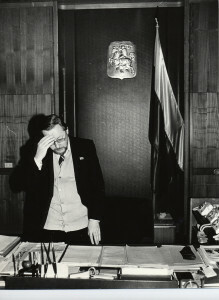 Finally, around 10 pm on the eve of Lithuania’s independence plebiscite in February 1991, President Vytautas Landsbergis emerged from his inner office at the Seimas, glanced expressionlessly at me and the other foreign journalists in an anteroom, then motioned for us to enter. 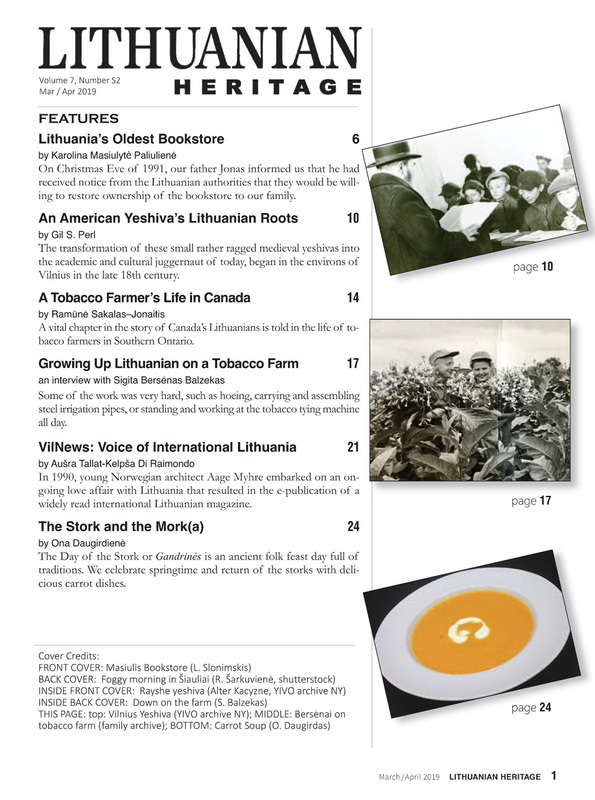 The momentous day was just hours away, but Lithuanians were exuding anything but expectant joy. Barracked around the capital Vilnius and other cities, the Soviet army was poised to deploy. Four weeks earlier, soldiers and military police had violently taken over government buildings and Lithuania’s TV center, leaving 14 people dead, in what Lithuanians would come to call “Bloody Sunday.” It had been a year since the Lithuanian Parliament declared the nation’s independence from the Soviet Union, the first to do so. 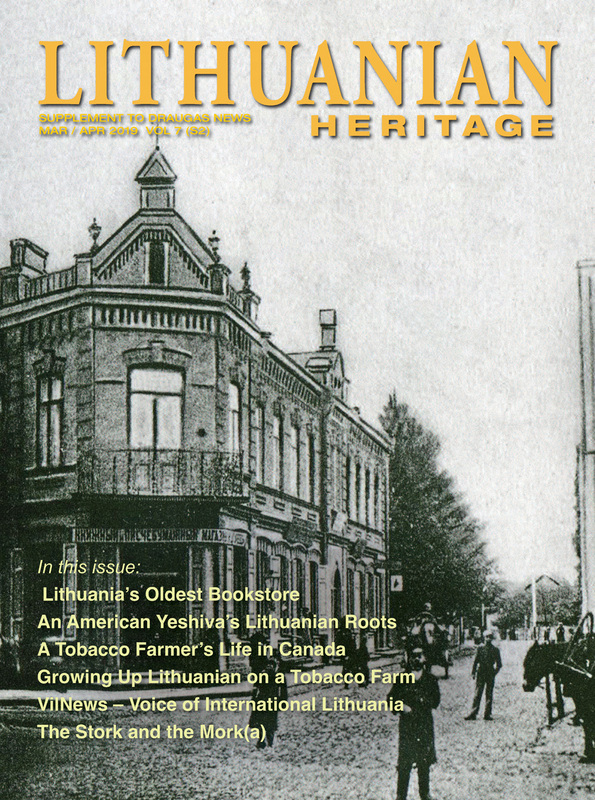 Would a referendum on independence now bring the world to Lithuania’s side, as Landsbergis hoped, or just trigger a Soviet crackdown? Citizens relented from their massive protests and instead were scattered around the building and city, like sentries and messengers, tensely waiting for whatever would come. Piles of wood and concrete blocks still stood in spots around the Seimas’ concrete edifice. A few bonfires were burning. Inside, I had been corralled in the room with other foreign journalists—European, Canadian, and American—waiting wittingly to play our role in the president’s strategy to get global support. My own strategy was somewhat smaller: to get some colorful quotes from the president for the few Sunday deadlines remaining around the world. The President had taken up residence in these offices since Bloody Sunday. He was visited regularly by his wife and children. Before he came out, his wife Grazina emerged, gave us a cordial smile, and headed for the door. I approached and softly asked her how the family was faring. “We do what we can,” the First Lady said. Minutes later, the president came out and invited the group into his office. In that nighttime ambience, everything about the room—furniture, paneling, ceiling, carpet, curtains, and even people—felt solemn, cast in tans, yellows, and shadows. A small table and desk were piled high with papers and posters. Through an open door I could see a TV tuned to a news program. To my right near a window was a light brown Petrov upright piano. On a wall hung a photograph of Vaclav Havel. Artwork and mementos were everywhere; Lithuania’s flag stood in a corner. Then somebody, either caught up in the moment, or believing there was nothing left to discuss, or both, asked: Would you play something? He demurred, but his demeanor changed entirely. He chuckled and sat up. For those of us whose medium was print, not TV or radio, this would turn our journalistic opportunity into a barstool tale of little journalistic value. Or maybe it was fortuitous: we might get the revolutionary to show us, musically, how he was feeling. It only took one more request. Landsbergis walked to the Petrov. My cassette recorder was still rolling. Without any niceties, as if eager for the moment, the music professor began Beethoven’s Moonlight Sonata. This is a universally recognized sound of longing and suffering. His tempo was on the fast side, almost urgent. To Beethoven’s iconic sound, Landsbergis was adding a feeling of anxiousness or impatience. Over his shoulder I looked at the Havel photo and, through the window, the darkness outside, where I imagined bonfires somewhere below. His tempo did not slow on the slow parts, a discomforting feeling. Indeed, those days felt anything but comfortable, although it did cross my mind that maybe he just wanted to finish so we would leave. At the end, where Beethoven makes the longing seem unbearable, Landsbergis soldiered through his pace undeterred. He lifted his hands from the keys, and the poignancy of the moment became palpable. We clapped, wanting more. The president stood and blankly told us the interview was over. It sure was. The following day passed without bloodshed and brought a resounding pro-independence verdict, although more violence still lie ahead before Landsbergis and Lithuania would realize their dream. Now twenty-five years later, the world has changed in unimaginable ways. But I expect that the Moonlight Sonata will always remind me of bonfires at the Seimas. Thomas Ginsberg is a former staff writer of The Associated Press and Philadelphia Inquirer. He lives in Philadelphia. Click play to listen to Thomas Ginsberg’s recording of Vytautas Landsbergis playing Beethoven’s Sonata.